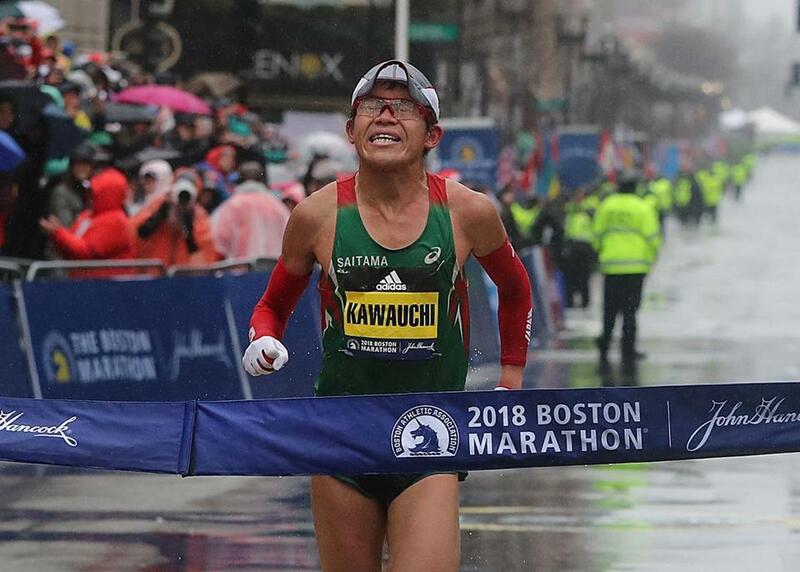 Yuki Kawauchi crosses the finish line in his 2018 Boston Marathon victory. Much like the historic finish on the women’s side of the Boston Marathon, the men’s race was just as significant. Yuki Kawauchi became the first men’s champion from Japan since 1987 – catching Kenya’s Geoffrey Kirui with close to a mile remaining to win with a time of 2:15:58. The 30-degree weather and winter-like conditions certainly played a factor in what was the slowest winning time for the men since 1976. Becoming the first man in over a decade to repeat won’t be an easy task for Kawauchi as the 123rd running of the Boston Marathon is boasting a loaded elite field. Kawauchi brings an immense amount of experience to the race, running 12 marathons in 2018 and already running three so far this year. Kirui looked poised to win his second straight Boston title last year up until the final mile, where the weather seemed to finally affect his performance. As experienced as they come at running this course, Kirui is looking for another podium finish, if not another crown. Lawrence Cherono, also from Kenya, has the top personal best of the field after his 2:04:06 performance in Amsterdam last October and is one to watch. Two-time Boston champion Lelisa Desisa of Ethiopia is coming off a two-second victory at the New York City Marathon in November and is looking to carry that momentum to Boston. Desisa did not finish the race in Boston in 2018, one of many who decided it would be best not to push through the weather conditions. With warmer weather expected for Monday, Desisa is a threat to perform again with the spotlight on him. Countrymen Sisay Lemma, Lemi Berhanu Hayle and Solomon Deksisa, who have clocked personal best times of 2:04:08, 2:04:33, and 2:04:40, respectfully, will be in the mix if the weather doesn’t prove too much of an obstacle. Berhanu, himself, took home first place in Boston in 2016 but didn’t finish the past two years. For the Americans, a bit of a new wrench was thrown into the race last month as the International Association of Athletics Federation announced a new standard time of 2:11:30 for the men for the 2020 Summer Olympics in Tokyo. Though, a top 10 finish for any of the US competitors here in Boston, or any of the other world major marathons, would qualify them for the team even if they don’t hit the new standard. 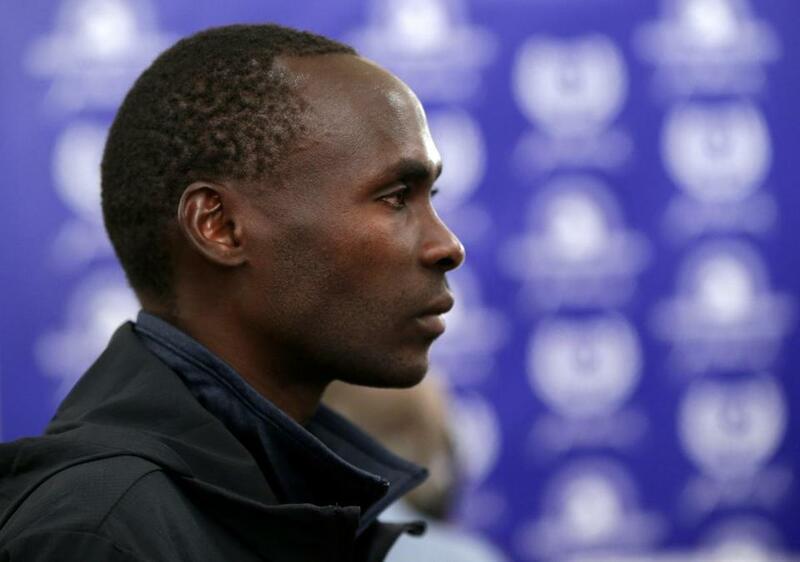 Shadrack Biwott is one of the top American men running this year’s Marathon. Shadrack Biwott comes in as one of the favorites among Americans to challenge for a podium spot. Biwott was last year’s top American finisher with his third-place time of 2:18:35 and finished ninth at the New York City Marathon (2:12:52). His third time running in Boston, Biwott knows the course very well. “I feel pretty good, the same as any other race to be honest,” said Biwott. “I am always just the same guy. Never too excited, never too low, just in the middle. Biwott will be joined by a handful of other American runners, but the most intriguing is 36-year-old Dathan Ritzenhein. The four-time Olympian hasn’t finished a marathon since his seventh-place finish in Boston in 2015. Yet his personal-best time set in Chicago in 2012 (2:07:47) is tops among Americans entered in the race and shows that even if he is a long shot he has it in him to be competitive. Americans Jared Ward, Scott Fauble, Abdi Abdirahman, Jeffrey Eggleston, Elkanah Kibet, Tim Ritchie and Brian Shrader all are eyeing solid finishes as well. Karl Capen can be reached at karl.capen@globe.com. Follow him on Twitter @Capen316.